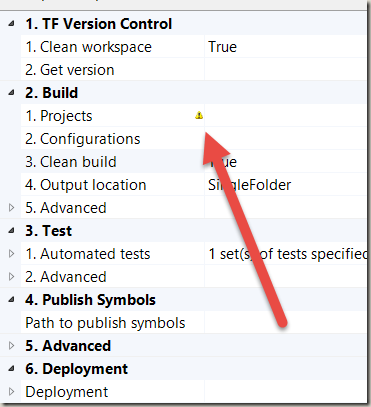 In Visual Studio 2013 one may run into this error when getting a build running with Windows Azure online TFS. TF215079: The build definition NexusTFS_CD is disabled. 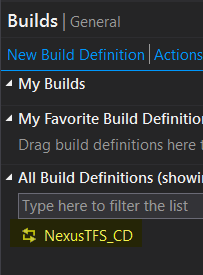 Enable the build definition and try again. 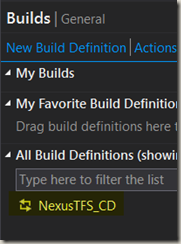 There may be build problems other than the build definition is disabled. Select the Process section by clicking it and look for any triangle warning signs in the window/tab which opens. If the triangle icon is there, that may mean that something is missing and needs your attention. 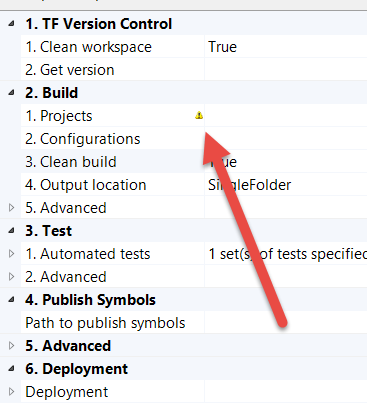 If in TFS, your Team Project Collection has multiple solutions, the actual solution to build may not be set. Set it in the Projects section. 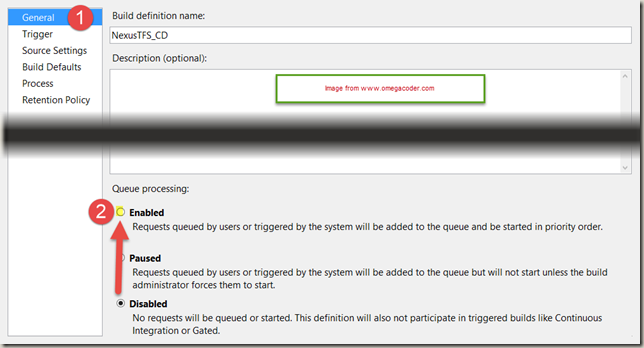 To enable the build definition go to the General settings and and change the Queue Processing from Disabled to Enabled. If everything is a go, the icon should change after you save the xaml file. Queue a new build and run. This subscription is not registered to use the following resources: Website. The remote server returned an unexpected response: (400) Bad Request. Here are the steps to fix and or pinpoint the issue. Log into to manage the account Azure Portal (Opens in new window). Is this account the same one that is tied to Visual Studio? Find the WebSites section along the left hand side. If you are able to do those steps, you have eliminated the sign on issue (wrong account) and the general ability to create websites in Azure. 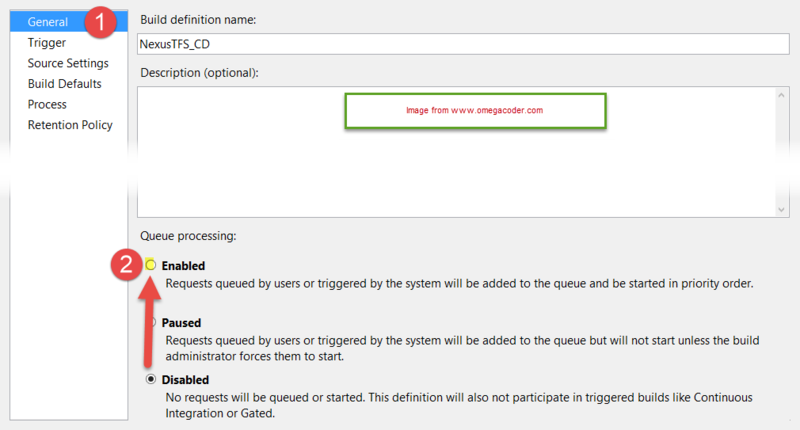 Try to create a website again in Visual Studio using the account specified above used to log into Windows Azure Portal. If it still fails at this point, trying installing the latest Azure Toolkit (2.2 of this writing) into Visual Studio. Tell me what you have run into…I would like to hear.